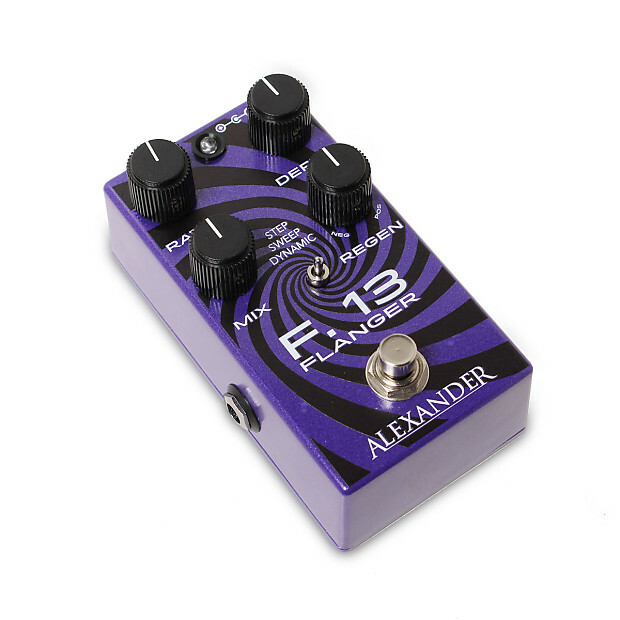 Alexander's F-13 Flanger pedal has four simple controls and a three-way mode switch. 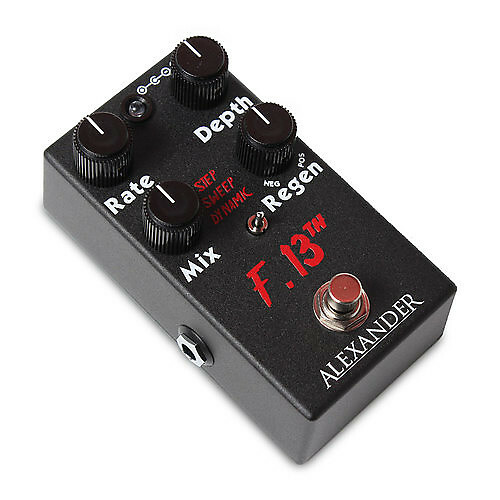 Control your flange with the Rate, Depth, and Mix knobs. 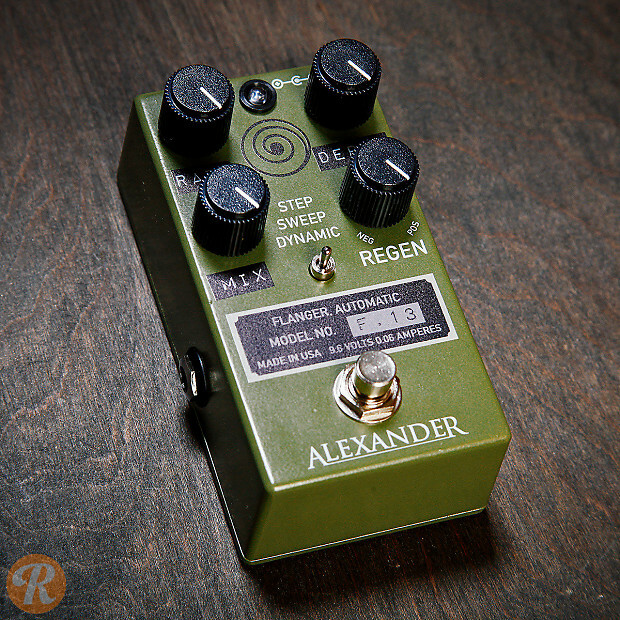 Regen knob adjusts how much flanged signal is fed back into the modulation. 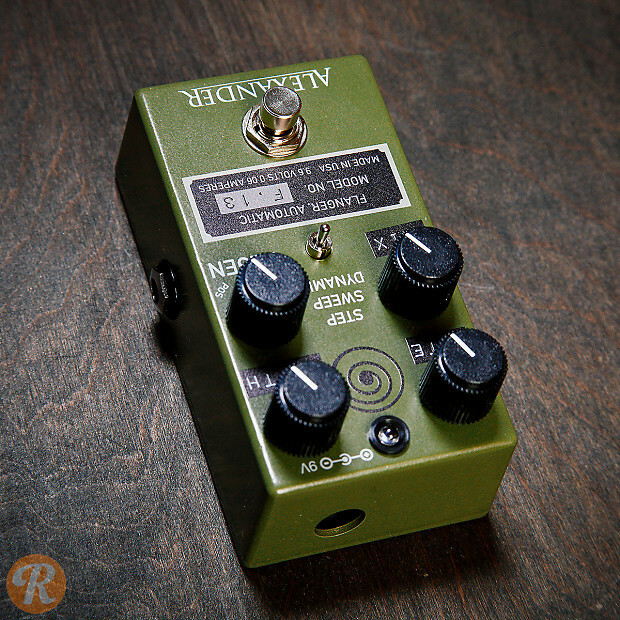 Choose between Step, Sweep, and Dynamic modes.